Ever wondered why you feel particularly miserable on a Monday morning? 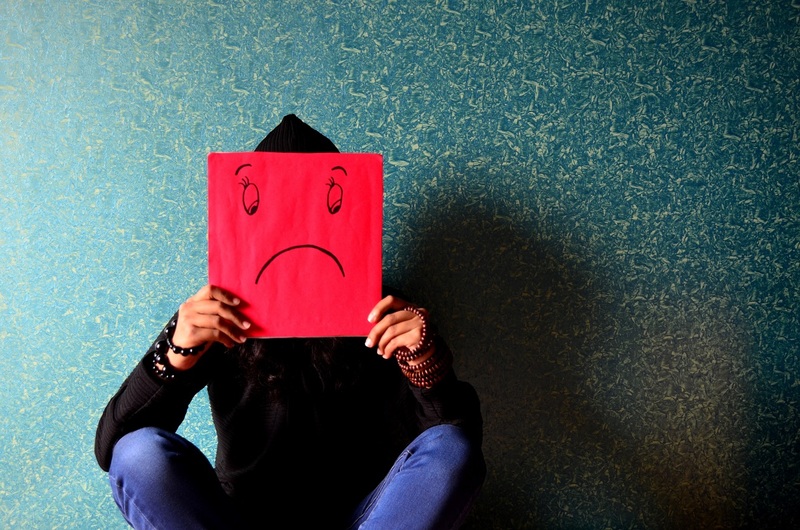 Today is officially Blue Monday – dubbed the most depressing day of the year – but why? And who decided we should all be miserable? University of Sunderland psychologist and wellbeing expert Dr Rebecca Owens here lays Blue Monday out in black and white. “To understand Blue Monday we have to take a look back at external factors that have affected our emotions over the years. “Emotions are tied with our circadian rhythms – our internal body clocks. We have a roughly 24 hour cycle which is affected by external stimuli. “For example, in the ancestral environment, we would have slept longer during the winter than the summer, to coincide with the change in natural light. Before we had electricity, we would have had shorter working days, we probably napped more, we probably had a more sustainable work-life balance. “However, it is not just technological advances that affect our circadian rhythms – cultural changes do too, and this in turn affects our emotions and our psychological wellbeing. “One example is the weekend effect. This is where we generally report greater psychological wellbeing on a Friday, and this then decreases dramatically by a Sunday evening – just in time for work. “Before we had a culturally defined working week applicable to most people, the weekend effect did not exist. This effect has been linked to a lack of autonomy at work – essentially, if you do a job you dislike, in a place you dislike, if you feel forced to be at work, you are more likely to feel negatively about going there. “These negative feelings will increase as the time to go looms, and will reduce as the prospect of time away approaches. If you have a job you enjoy, if you work in a pleasant environment, if you feel your job has purpose, then you are less likely to succumb to the weekend effect. “So what about Blue Monday – the most depressing day of the year…apparently. “This concept was based on a mathematical formula which considers the impact of many different things on your emotions and wellbeing. Specifically, it suggests that the poor weather conditions at this time, the length of time post-Christmas and New Year’s resolutions, the amount of debt we are in, and the length of time between pay days all contribute to our reduced mood. All of these factors are culturally created…we are essentially setting ourselves up for Blue Monday. “Over Christmas, many people take on more debt, or spend more money than they usually would, and the consequences of this must be reaped come January. When you add in to that that many of us are paid a little earlier in December, then that pay has to last us longer too. How depressing. “This fact can also be used as an analogy for mood. Think about the run up to Christmas - there is a general feeling across the population of good will – being kind to one another, being happy, supportive, and charitable. “Among the cold, wintery, long, dark nights, Christmas lights light up the streets – and many jumpers – creating the feeling of warmth, promoting these warm, positive feelings and increased wellbeing. “For many of us, these positive feelings climax on Christmas day – luxurious food and drink, lots of time spent having fun with family and friends, followed by that fuzzy period in the run up to New Year where we have cake and Bailey’s for breakfast in a warm, indulgent haze of comfort. “Then quite suddenly, New Year’s Day arrives. Many of us are hungover – which makes us feel terrible in itself. But now we are back to reality. Our New Year’s resolutions kick in, we have to go back to work, no more indulgent food and drinks, we are back to clean and healthy living – back to responsibilities and consequences. “Essentially – we have borrowed our good mood and indulgence from January and consumed it all in December – much like we do with money. “Our bodies biologically strive for stability, we can’t maintain those high levels of positive emotions, just like we can’t maintain the gluttony, and we can’t maintain the spending. “January therefore is a deficit for many of us in many ways. Not only does this all lead to us feeling a bit down, but the comparison to those heightened feelings only weeks ago – through rose-tinted glasses – only make Blue Monday appear bluer. “But why is the third Monday of January labelled Blue Monday? Why not another day? Why does it take three weeks for this to kick in? Well – because it is not a switch that is triggered – one day you are happy and the next day you aren’t. “This has been building through the month of January and it takes time to culminate. Christmas now was quite a while ago – remember those delicious mince pies and brandy cream? We have to wait another 11 months for those now. Remember how warm and snuggly everything was in the cold and dark? Now we have the worst of the winter to come and none of that to alleviate it. “However, the good news is that we can control much of this, and it is about trying to regulate yourself over the Christmas period and not stretching yourself beyond your means – unless of course you enjoy it. Boost your mood this Blue Monday by watching a good film. Before Sunrise (1995): For the romantics at heart, this is sure to get you in a good mood. The Shawshank Redemption (1994): Not only one of the greatest films of all time, but a truly life-affirming tale of hope. Mary Poppins (1964): The original and best.A classic in the true sense, Poppins fills you with joy, from the smile that’s impossible to wipe, down to your toe-tapping feet. Rocky (1976): The greatest underdog story in cinematic history. As Good As it Gets (1997): The kind of film you wish you could watch for the first time again and again. When Harry Met Sally (1989): A brilliant depiction of love and friendship.